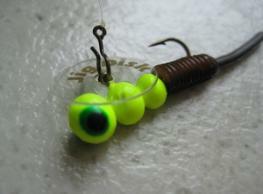 Disk onto the eye of your hook. 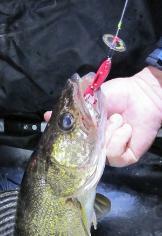 on the treble hook for scent. 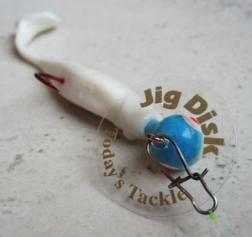 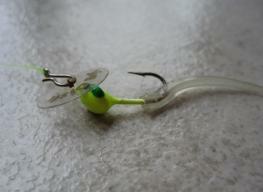 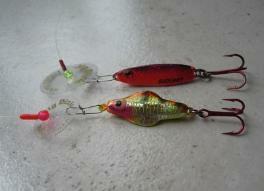 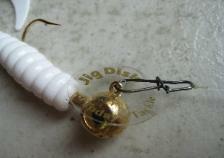 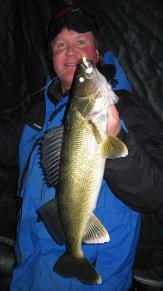 bead, then the Jig Disk with about 1/2"
great for Walleye, Bass and Northerns!